The public photo of "Universe," a pre-released song by group NU’EST Min hyun, has been released. 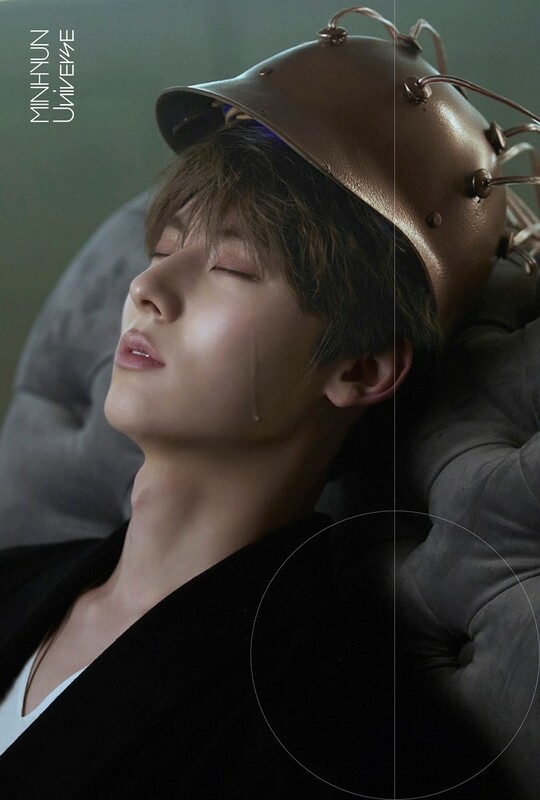 The agency Fledis Entertainment, is receiving an explosive response when it released "Universe," a pre-released song by Min hyun, along with the words "Another Story of NU'EST (MINHYUN) "Universal" OFFICIAL PHOTO," on their official social networking site at midnight 29. In the released photo, Min hyun captured eyes with perfect visuals featuring his sleek jawline and nose, as well as a tear that flows with his eyes closed. Min hyun's tears are drawing more attention to the pre-released song, adding to the curiosity about what it means and what the mysterious object is. Min hyun's "Universe" is a pre-released song before the release of the NU’EST’s full-length album, which will offer another attraction by capturing a more colorful musical color and sensibility as an artist. Following the dreamy concept teaser photo, Min hyun is expected to show his musical growth through the pre-released song, which has raised expectations of music fans by releasing more of his questionable public photo. Starting with the release of their first profile photo in 2019, NU’EST will launch a full-fledged, act with their special digital single "A Song For You" released on April 15 and Min hyun's pre-released song "Universe," which is released on April 3. Min hyun's pre-released song "Universe" is released on various online music sites at 6 p.m. on April 3, while NU’EST will perform the 2019 NU'EST CONCERT "Segno" at the KSPO DOME in Seoul for a total of three days from April 12 to 14.